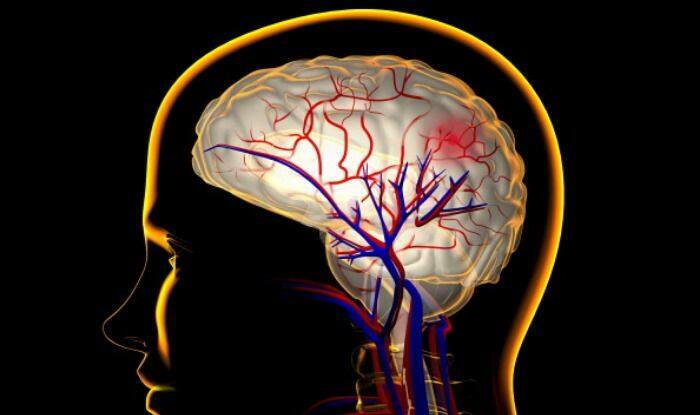 This type of stroke cause changes in the brain's blood flow and damages brain's white matter. Do you frequently lose train of thought or often become sidetracked? It may in fact be a sign of a condition known as “silent stroke” — a major cause of dementia and stroke — warns a study. The condition known as cerebral small vessel disease is one of the most common neurological disorders of ageing. This type of stroke cause changes in the brain’s blood flow and damages brain’s white matter (responsible for communication among regions), which can cause memory and cognitive issues over time. Individuals with damage to the brain’s white matter, caused by silent strokes, were found to be poor on attentiveness and were distracted more frequently on day-to-day tasks. Despite these problems, about half of adults (between the ages of 55 to 80), identified with white matter damage scored within the normal range on formal laboratory assessments of attention and executive function, according to a recently published paper in the journal Neurobiology of Ageing. “Our results indicate that in many cases of people who were at a higher risk of silent stroke and had one, they saw a notable difference in their ability to stay focused, even before symptoms became detectable through a neuropsychological test,” said lead author Ayan Dey, a graduate student at the University of Toronto in Canada. The strokes are “silent” since they do not cause lasting major changes seen with an overt stroke, such as affecting a person’s ability to speak or paralysis. Typically, this type of stroke is uncovered incidentally through MRI scans or once the brain damage has worsened, Dey said. “There are no effective treatments for Alzheimer’s disease, but brain vascular changes can be prevented or reduced through smoking cessation, exercise, diet and stress management, as well as keeping one’s blood pressure, diabetes and cholesterol under control,” said Brian Levine, Professor at the varsity. “With the right diagnosis, these interventions and lifestyle changes give older adults who are at risk for cognitive decline some options for maintaining brain health,” he added.